Hill View is a stunning contemporary home. Accommodation for this stunning house is over three floors and includes a basement which houses a gym, wine store and a control room for the various systems that have been included in the property. On the ground floor there is a large open plan kitchen/dining/living area with vast expanse of glass and sliding doors which not only allows light to flood in but also makes the most of the countryside views. Furthermore on this floor there is a separate utility room, wc and lounge. Located on the first floor are three bedrooms, Jack & Jill bathroom, a separate family bathroom and the master bedroom suite. 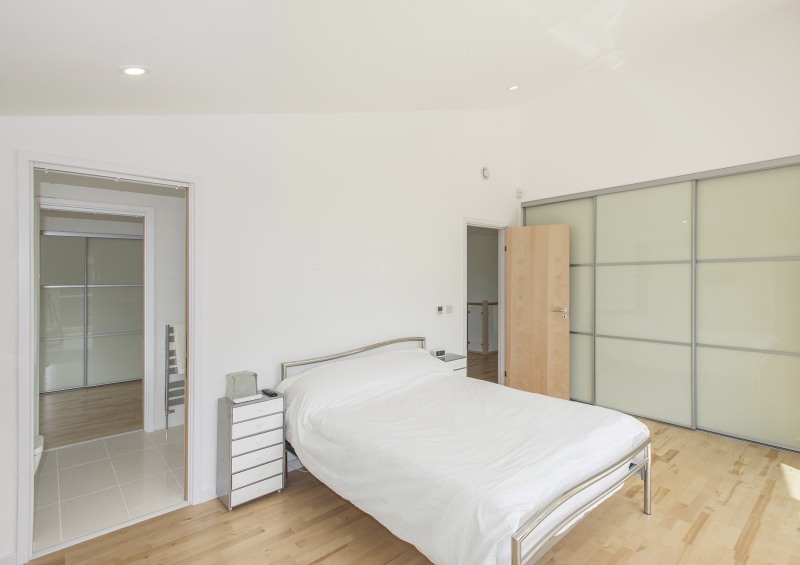 The latter benefits from sliding doors which lead onto a generously sized terrace area. 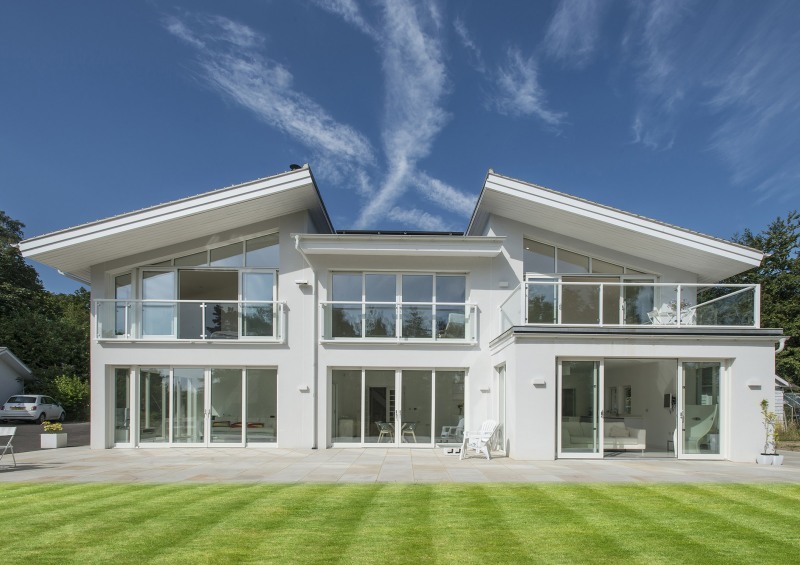 Hill View demonstrates successfully the flexibility of a timber frame structure within a contemporary design. *Please note that the dimensions and the floor plan for the basement are available upon request. 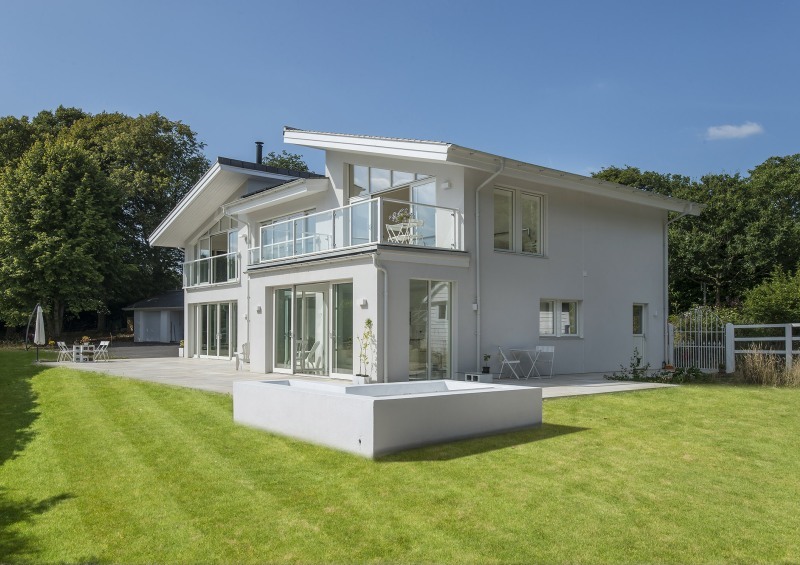 If you would like further information on the Hill View design and how we can tailor this build to suit your own plot, please contact our sales office on 01342 838060 or email sales@scandia-hus.co.uk and one of our team will be in contact with you shortly. Alternatively make an appointment to come and see for yourselves our design and build quality by visiting our Show Centre at our offices in Felcourt, West Sussex.